China's SAMR operates a lot like regulatory structures in the US used to back in the day, analyzing acquisitions like these to make sure that consumers don't end up losing out in the face of growing business monoliths. Apparently, the overlap between NXP and Qualcomm (perhaps paired with Qualcomm's allegedly anticompetitive behavior) was enough to convince regulators that consumers in the country would not benefit from a merger of the two businesses. Equally possible are the odds that the failure to approve is related to the US' trade war with China, and the fact that Qualcomm is a US company. The Qualcomm/NXP deal has been regularly extended by the companies involved over the last couple years, with the associated price for the acquisition changing repeatedly and most recently settling around $44 billion. But with China seemingly putting its foot down, Qualcomm has decided not to attempt another extension. Dropping this deal isn't as simple as walking away amicably, either. 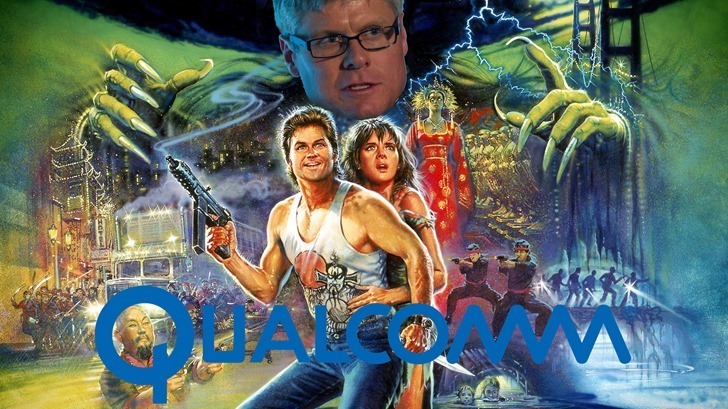 Per the original terms of the acquisition, Qualcomm has to pay NXP a sizable $2 billion termination fee. According to Qualcomm's recent fiscal results—which are the source for this story—the deal still could technically go through, if the stars magically align by midnight tonight. "In the absence of approval from SAMR or other material developments, we expect to terminate the transaction after 11:59 p.m. New York time on July 25, 2018, which is the “End Date” for the transaction under the definitive agreement." The odds of a last-minute change of heart on the part of Chinese regulators is slim, though. Thankfully, Qualcomm has the cash on hand to make the payment if or when things fall through later today. To offset that, the company also plans on implementing yet another stock repurchase program for up to $30 billion in outstanding common stock. Between all its recent fines and ongoing lawsuits with companies like Apple, as well as the recent news that Apple will be dropping Qualcomm modems in future phones, I hope that Qualcomm will be able to weather the storm—and, perhaps, take a stance on the future that better benefits consumers and competition. 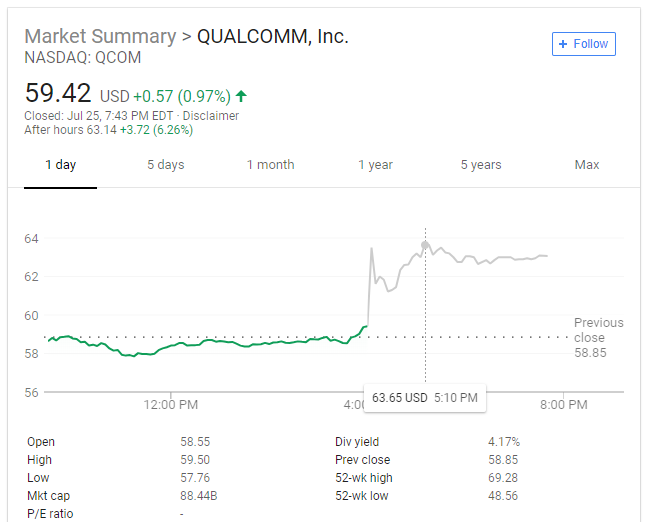 At least investors seem unperturbed by both the loss of Apple as a customer and the failure to acquire NXP, driving prices for Qualcomm's stock in after-hours trading up over 7% at peak, from $59.42 to $63.65, resting a bit lower around $63 at the time of writing.